London was beyond an amazing experience and I definitely loved the city that seemed to inspire the layout of New York City. While in London, I was able to not only complete one bucketlist item, but two. 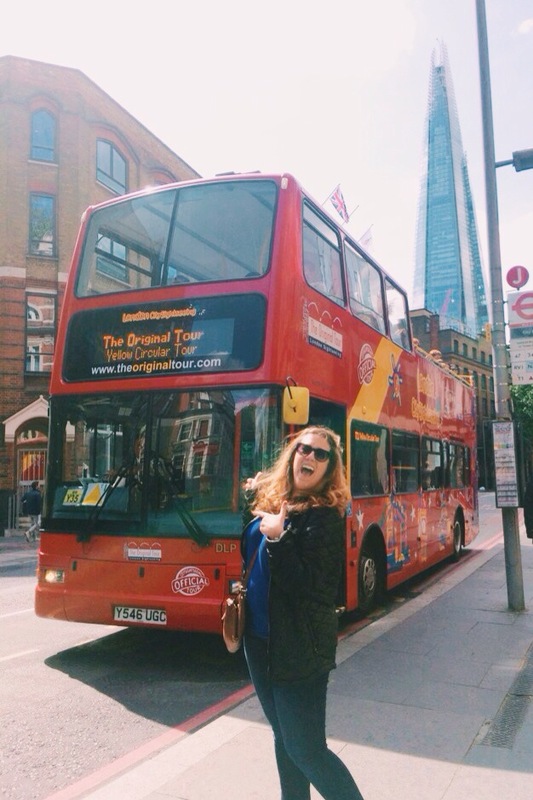 It is becoming apparent that quite a few of my bucketlist items are directly correlated with a movie and riding a double decker bus in London was no exception. Ever since I saw the movie What a Girl Wants with Amanda Bynes, I had always known I must visit London just to ride one. I knew I would be in awe just like the character in the movie. There was so much more to this tour than just a ride. It is such an amazing way to explore this massive place. You can hop on and hop off as many times as you’d like to visit various attractions. It is also great because they have a person giving you information on everything you pass. The info ranged from important things you’ve heard about to where Prince Charles had his clothes tailored. It was also a good form of transportation and I relied on it not to get lost. It worked perfect because the second day on the bus was free and I wasn’t paying for taxis or metros. If you ever go to London, I would completely recommend this be a must do on your list. Glad you had a great time on our buses & looks like you had some beautiful weather too to enjoy the top deck!!! Best of luck with the rest of your 30 before thirty-out of curiosity, how many have you now completed?